Imparting Grace is a personal blog written and edited by me. 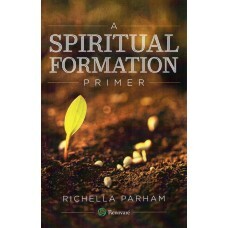 For questions about this blog, please contact Richella Parham at richellap@gmail.com. Imparting Grace accepts forms of cash advertising, sponsorship, paid insertions or other forms of compensation. Just as I would in face-to-face situations, I make certain that my blog abides by word of mouth marketing standards. I firmly believe in honesty of relationship, opinion, and identity. The compensation received may occasionally influence the advertising content, topics or posts made in this blog. When that occurs, the content, advertising space or post will be clearly identified as paid or sponsored content. Occasionally I am compensated to provide opinion on products or services, but I always give my honest opinions, findings, beliefs, or experiences on those topics or products. The views and opinions expressed on this blog are purely my own. Any product claim, statistic, quotation, or other representation about a product or service should be verified with the manufacturer, provider or party in question. I do not serve on any corporate boards or the boards of any for-profit companies. I do, however, serve on the board of a Christian ministry, Renovaré. That relationship may have a significant impact on the content of this blog. I also write for the Renovaré blog which may be found at http://www.renovare.org.